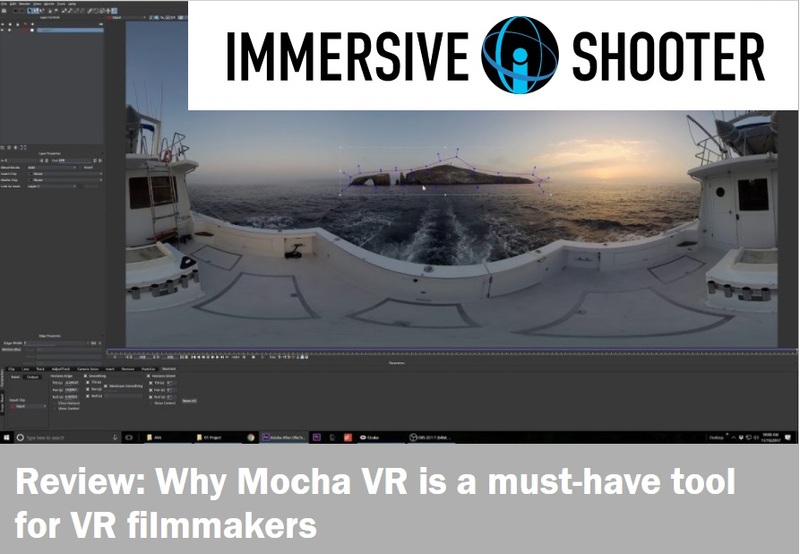 Sarah Redohl of Immersive Shooter talks what the new Mocha Pro 2019 plug-in with improved 360/VR tracking, object removal, rotoscoping, and masking means to 360 content creators. Learn more about the VR Unit in Continuum from Boris FX. This review looks at the five tools within the VR Unit and outlines the capabilities of each tool. 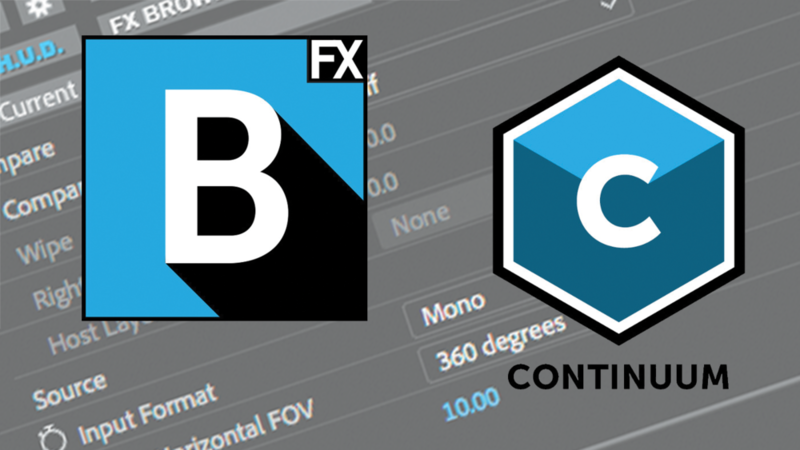 See why Chris Monlux of Videomaker magazine rates Boris FX Continuum 11 a great value jam packed full of useful and innovative plug-ins such as Title Studio, Primatte Studio, Mocha, Broadcast Safe, and more. MicroFilmmaker Magazine reviews Sapphire 11, and looks at how Sapphire has long been an amazing set of high quality plugins that offer a diverse range of tools to power up your post production. Boris Yamnitsky, CEO of Boris FX, shares the vision behind Boris FX and the beginning of the visual effects plug-in industry, and answers questions like what’s new in Continuum 11 and Sapphire 11, which product should I buy, and which products include Mocha integration in this Premiere Bro interview. At IBC in Amsterdam this past September, Boris FX announced some major updates to Mocha (stereo support! ), as well as new VR-related tools for its Continuum plugin. Matt Celia from Light Sail VR reviews Mocha’s latest tools, his Mocha workflow, and why it’s become a “game changer” for him. Boris Yamnitsky, Boris FX Founder, has been honored with a Digital Video Industry Innovator Award for his innovative contributions to the digital video industry. 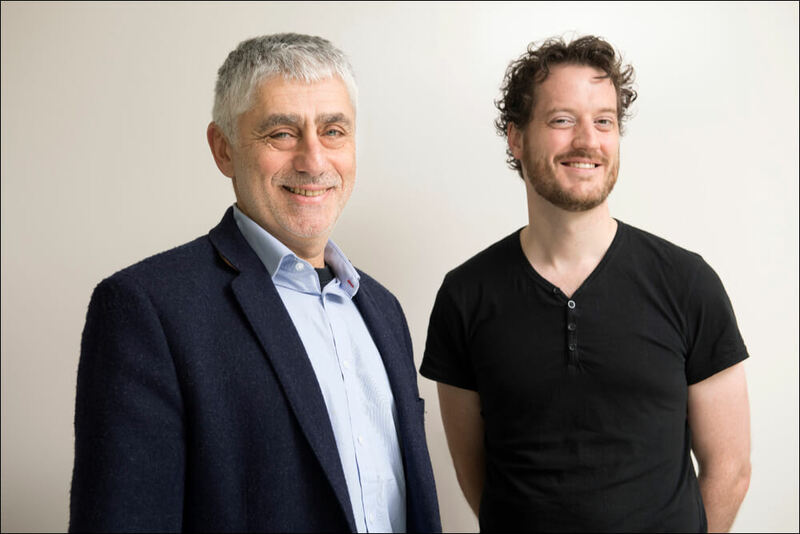 Since the company’s inception, Yamnitsky and Boris FX have pushed the plug-in industry forward by tightly integrating into today’s top host applications, leveraging advances in tech, and delivering users’ most requested features. Originally posted at postmagazine.com on July 14, 2017 (by Zach Shukan) If you’re using Adobe After Effects to do compositing and you’re not using Mocha, then you’re holding yourself back. If you’re using Mettle Skybox, you need to check out Mocha VR the VR-enhanced edition of Mocha Pro. Originally posted at postmagazine.com on May 1, 2017 (by Yoram Tal) Sapphire effects have always been one of my favorite sets of plug-ins. As an online editor and finishing colorist, I see it in almost every offline sequence I get. Sapphire has a great reputation for quality and speed. When you work in the intense world of broadcast television, you need the right tools for the job. Knowing I have access to the full Sapphire suite allows me to produce high-quality effect work under extremely-tight deadlines. 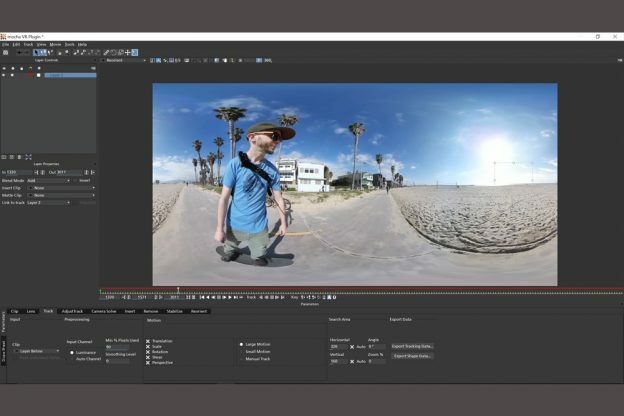 Originally posted at StudioDaily.com on April 12, 2017 (by Bryant Frazer) The Oscar-winning planar-tracking technology developed by Imagineer Systems has made Mocha Pro a workhorse for tracking and compositing tasks, including image-stabilization and object removal. The software’s utility has only grown along with the capabilities of standard desktop computing hardware. Originally posted at digitalfilms on November 27, 2016 (by Oliver Peters) Boris Continuum Complete (BCC) by BorisFX is the epitome of the term “Swiss Army knife” when it comes to talking about plug-ins. Most editors will pick this package over others, if they can only have one toolkit to cover a diverse range of picture enhancements. In the past year, BorisFX has upgraded this toolkit with new effects, expanded to add more NLE hosts, and integrated mocha’s Academy Award-winning planar tracking technology after the acquisition of Imagineer Systems. Originally posted by Student Filmmakers. When we explore a new environment we, naturally, walk around in it. Undoubtedly it will be some time before we can slip on a VR headset and walk around in a video based landscape. Right now that is only available in a CG-based VR world. However, for full immersion in 360 VR video, movement is an essential tool. However, there is a problem. Either the 360 videographer is seen as a virtual guide or we have to try to remove them. Brady Betzel of Post Perspective reviews Mocha 5 from Boris FX and explains why is a game-changer for AVID Media Composer editors. Boris FX's new 'Complete' package How the ‘90s start-up put plug-ins on the map and extends post & VFX workflows. (Original post: Post Magazine by Linda Romanello) Boris FX recently introduced its most significant release to date, Boris Continuum Complete (BCC) 10, the first release since the company acquired Imagineer Systems about a year ago. The new plug-in package is not only the company’s largest and most complete, with tools for all aspects of post — creative, technical and finishing — but it also includes Imagineer’s popular mocha planar tracking and masking as integrated technology. By Justin Sucara ( Read the original post ) BCC PixelChooser : In the improved PixelChooser, Boris FX has integrated powerful mocha planar tracking and masking tools, which are available in all BCC 10 plug-ins. Boris Continuum Complete (BCC) is a comprehensive set of over 230 VFX plug-ins designed to complement postproduction tasks—from editing and effects, to graphics and finishing. By Walter Biscardi, Creative Cow ( Go to article on Creative Cow. ) I still remember meeting a guy named Boris at the 1995 Apple MacWorld in Boston. Jeans and a white T-Shirt, he was in the booth all by himself with his brand new product. Boris FX that ran on the awesome Media 100 platform. He was hilarious and I bought the plug-in on the spot for my corporate job. By Brady Betzel, postPerspective ( Go to article on postPerspective ) I love plug-ins — Video CoPilot’s Element 3D, Red Giant’s Universe, Neat Video’s Noise Reduction and many more. There are some pros who like to pretend that they are too good for plug-ins or consider the use of plug-ins a crutch, but not this guy. I love them! Plug-ins make my job easier and more efficient. Time is money and when you are doing something by hand that can be done faster by using a plug-in, you are wasting time and money — your client’s money and your time, which could be spent with family and friends. Below is an abridged version of The Technofiles Awards 2015. To read the entire post with all the winners, click here. (Published February 8, 2016) Now that 2015 is over, everyone is back from their holidays and recovered from their xmas hangovers (aka January), it seems like the perfect time to announce the winners of The Technofile Awards 2015. These awards are given to the best products that were available to buy new in 2015 (regardless of when they were originally announced or released). by Tej Babra, February 2, 2015 Boris FX is a well known leading developer of VFX, compositing, titling, and various other workflow tools for broadcast, post-production, and film professionals. Boris FX has been able to tightly integrate into the most poplar postproduction software leaders such as Adobe, Apple, Avid, and Grass Valley to name a few. Boris FX’s BCC can be found in just about any broadcaster’s edit suite, and they have their latest offering with version 9.
by Walter Soyka, January 2015 Boris FX released a new version of Boris Continuum Complete 9 back in June 2014, for Adobe After Effects and Premiere Pro, and added Blackmagic Design's DaVinci Resolve and Apple FCP X support in October. There are about a zillion other plug-ins available for these applications, and at $995 for After Effects and Premiere, $1,995 for Avid, $695 for Apple FCP X and Motion, $695 for Resolve, and $695 for Sony Vegas, BCC 9 is a bit pricey. Review: Imagineer System’s Mocha Pro 4.1 and Mocha Plus 4.1 By Brady Betzel for PostPerspective Most people working in modern post production have heard about “tracking.” Many may have even dabbled in a little tracking to remove a dead pixel, do some simple sign replacements or stabilize a shaky shot. 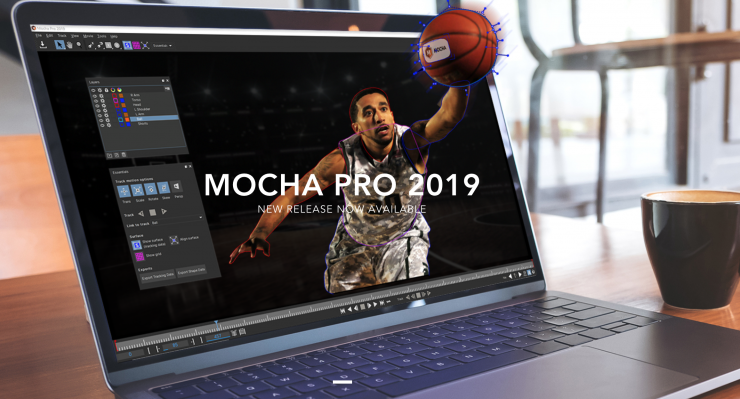 If you are lucky enough to have been successful in your standard Avid tracker or the amazing Adobe After Effects 3D Camera Solver then you will love what Imagineer System’s is doing with mocha Pro 4. Mocha Machine IMAGINEER SYSTEMS PERKS UP VFX WORK by Joseph Herman Article appeared in CineMontage Magazine. Nov/Dec 2014 If you don’t already own it, Mocha Pro 4 (and Mocha Plus) will no doubt prove to be an important program in your visual effects pipeline and occupy a place in the go-to category of software in your toolbox. Any project that requires tracking and roto work will benefit from its advanced features and could save many hours of tedious work. This is one of the best all-around packages of filters and transitions on the market. By: Oliver Peters, 10/29/14 BCC 9’s FX Browser previews variations to the Damaged TV Dissolve transition. Boris Continuum Complete remains the flagship effects package for Boris FX. With each new version, Boris FX makes it better, faster and even more useful. BCC 9 was recently released for Avid Media Composer, Sony Vegas Pro and Adobe After Effects/Premiere Pro. mocha Pro 4 and Plus Review byTej Babra(original review link) Tracking and rotoscoping are used by many visual effects artists for their projects. One of the most well known is Academy Award winning Mocha Pro 4 developed by Imagineer Systems. Mocha Pro and Mocha Plus have been recently updated to versions 4.0. These new releases feature a slew of new tools to help you work with motion tracking, and rotoscoping. by Todd Sheridan Perry forAnimation Magazine October 13, 2014 (original review link) Imagineer Systems’ mocha Pro 4 mocha Pro has worked its way into the visual effects and post-production world in a big way. If you doubt me, then you can probably take it up with the Oscar they were granted from the Academy of Motion Picture Arts and Sciences for technical achievements. I mean, that’s gotta count for something. By Nino Del Padre Published Oct 7, 2014 Overall Rating = HOT Summary:mocha is award-winning tracking software developed by Imagineer Systems. Built upon a renowned planar-tracking image engine, mocha follows “pixel patterns” through the most difficult conditions, including objects that go off-screen, objects that are partially obscured, and even out-of-focus footage. Target Applications:Editors, colorists and effects artists. mocha Prohas advanced modules for object removal, 3D tracking, stabilization and more. David Arbor Video Editor/Videographer – Adobe Certified Expert mocha Plus and mocha Pro 4 Motion tracking is an art, something that takes time to perfect and learn to do really well. I am not an artist in this sense, but mocha from Imagineer Systems is one of those tools that sure makes me feel a lot better than I really am. As many people know, mocha is an Academy Award-winning planar tracker which stands out from the rest of the motion tracking crowd by doing some amazing things. by David Arbor, August 3, 2014 Boris Continuum Complete 9 is the latest and greatest release of Boris FX’s gargantuan plug-in suite. With over 200 filters and 1000 presets (with more presets being emailed to users every-so-often for free), there’s easily a plug-in that can be used on any project. As I only have 4000 characters to write this, there’s simply not enough time to cover everything there is to like about BCC, so I’ll hit on the highlights. by Jonathan Moser, August 1, 2014 MANUFACTURER: Boris FX PRODUCT: BCC9 for Avid Media Composer (also supports Symphony, Newscutter, Adobe After Effects and Premiere, Sony Vegas Pro and Quantel) PRICE: $1,995 new; $599 upgrade WEBSITE: www.borisfx.com - Dynamic new FX Browser previews effects - Enhanced pan and zoom - Tons of new drop-on transitions Boris Continuum has had a unique relationship with Avid and Media Composer since 2005, when BCC was first bundled with Media Composer, giving it an advantage over other filter sets, and allowing it to become the de facto third-party effects package for Avid editors for many years. by David Hurd The new Boris BCC 9 is a great set of plug-ins for video editors or visual effects artists seeking a comprehensive set of VFX tools in one easy-to-use package. It’s designed to be useful for editors and compositors, as it includes features that can streamline both workflows. With over 30 new effects that include over 20 new transitions and new tools added to Image Restoration, Film, Stylize, Compositing and Lights groups, every editor could easily benefit from utilizing this software. by Brady Betzel These days there are only a few one-size fits all plug-in packages worth the price of admission, and unfortunately when working on a new project it’s pretty hard to convince the line producer that you need more than one package. Usually when an editor asks for Boris Continuum Complete (BCC), GenArt’s Sapphire, or even the lower-priced Red Giant Universe, the line producer will laugh a little when they see the price tags (multiplied by the amount of systems it would have to go on). by Deborah Kauffman, July/August 2014 “As feature editors, we’re telling the story, not doing the final,” he says. “Whatever we’re doing is a mock-up to suggest what the final people do, whether it’s in the digital intermediate or a visual effects or title house. Whatever I do in plug-ins, I’m using these things as a shorthand; they may end up as something entirely different ultimately, but I’m showing the story issues. 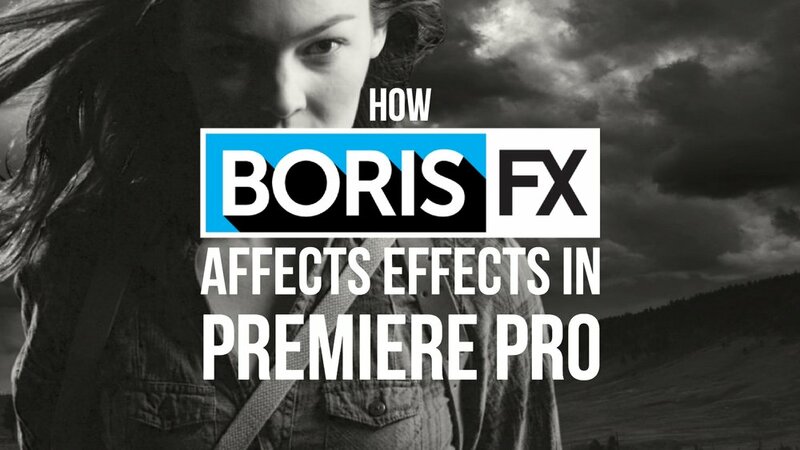 by Jeremiah Hall, June 3, 2014 As most longtime readers will know, I’m a serious fan of Boris FX . Getting a new copy of any Boris product feels a little like a birthday – new toys. I’ve never met a video/film pro who didn’t like to play with new toys. Boris FX has released Boris Continuum Complete 9. Let’s unwrap it and see what’s new. The biggest thing in this release is the new FX Browser. Over 200 transitions, effects, film restoration and other filters https://www.facebook.com/Australian-Videocamera-Magazine-481526065218156/ It seems ever since there was digital video editing, Boris FX has been there with juicy add-ons and plugins for special effects, transitions, cleaning up video, colour correction and much, much more. I was first introduced to their packages by Phillip Hodgetts at a consumer video show at Sydney’s Darling Harbour back in the 90s. Phillip has now gone on to bigger and better things (including hosting the Boris Forums on Creative Cow). 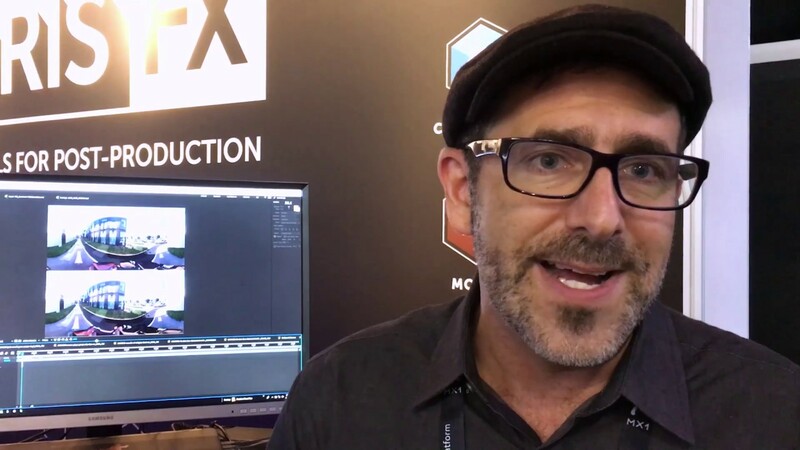 Aaron Benitez tests mocha Pro v3 to see how Imagineer Systems allows you to “Track Like a Boss.” VFX/motion graphic artist Aaron Benitez reviewsmocha Pro v3,released earlier this year at NAB. The new version includes new Rotoscoping Tools, new Layer Management, Project Management, 3D Camera Solver and Dopesheet, as well as keyboard shortcuts and interface improvements designed to enhance the entire Planar Tracking-based workflow for tracking, roto, removal and more. Review: Imagineer Systems' mocha Pro 3.1By: Barry Goch PRODUCT:mocha Pro 3.1 PRICE:$1,495 (upgrade from mocha AE $795) - logically arranged GUI - speeds up workflows - 3D camera solver for After Effects and FBX I’ve always have done a fair amount of tracking as part of my job as a finishing artist. However, there have been shots that I haven’t been able to nail, even with the tracker in Autodesk Smoke. by Joey Daoud, October 2013 Boris Soundbite is a handy tool that scans the audio in your media files and lets you search for words or phrases. Useful for documentary filmmakers, supercut editors, and anyone needing to search an archive of media. Best of all – it actually works. This is an idea that’s been around for a while. I was skeptical at first as I’ve tried other solutions like this before with less than favorable results (like Premiere’s transcribe feature), but where Soundbite succeeds is it only returns hits for a search, not a verbatim transcription. by Jeremiah Hall, February 18, 2013 Boris FX 10 is an effects, rotoscoping and image processing app plug-in for a variety of non-linear editors including Adobe Premiere Pro , Avid , and Sony Vegas Pro . Boris FX 10 allows editors to do slightly more complicated FX work using Boris and other Adobe After Effects compatible plug-ins, without having to go to a more elaborate FX app like After Effects. by David Hurd, February 5, 2013 You can never have too many plug-ins. While most editing software comes with FX plug-ins to get you started, there will be times when you’ll need something special to get the job done. Boris Continuum Complete 8 AE from Boris FX delivers the most comprehensive VFX plug-in suite ever created for Macintosh and Windows versions of Adobe After Effects and Premiere Pro CS6, CS5. by Jeremiah Hall, January 14, 2013 When I was working in news, one of my stops was Florida. While there, I worked for a very bright man who told me the secret to a successful business – a successful business is one that makes their customer’s lives easier. “If it doesn’t make their lives easier,” he said, “then that business is destined to fail.” Over the years, I’ve taken his words to heart. by Steve Taylor, October 1, 2012 For those in need of a broad toolset that provides a nearly complete set of effects and filters, take a good look at Boris Continuum Complete 8. With more than 200 effects, you'll surely find yourself with no shortage of ways to raise the production value of your projects. If you've been around post-production for any length of time, you will have noticed certain video plug-in manufacturers have not only survived but flourished in the competitive world of third-party providers. by Craig McDaniel, September 19, 2012 Boris FX Continuum Complete 8 Publisher: Boris FX Platforms: PC & Mac Description: Effects Plug-In MSRP: $995 (Full), $295 (Academic) Expected Release:Available Now Review Issue: #79 (09/12) Final Score: 9.5 Currently, in the world of video editing it’s almost impossible to not need some sort of effects plug-in. It’s just what everyone wants. by David Hague, August 9, 2012 BorisFX call BCC the “Swiss Army knife of video editing”. I am not going to argue. Yesterday I posted a tutorial on removing objects from a scene using Boris Continuum Complete (BCC) and its Motion Key plugin in. Because of the reaction to that piece, I feel an look at the whole package would be an idea. Firstly, a description of BCC is in order; the overall package contains over 175 different ‘units’ that work inside your existing NLE (editing program) performing such diverse functions as 3D text, particle graphics (explosions, fire etc), noise addition / reduction, film process, glitter, lens effects and much, much more. Creative Cow: Boris Continuum Complete - The New “Swiss Army Knife” of VFX? by Ryan Salazar, July 2012 Meet the Boris Continuum Complete (BCC) ... or what their clients call "the Swiss Army Knife of Visual Effects." Boris FX , founded in 1995, is one of the leading software development companies for 3D compositing, titling and vector graphics applications. 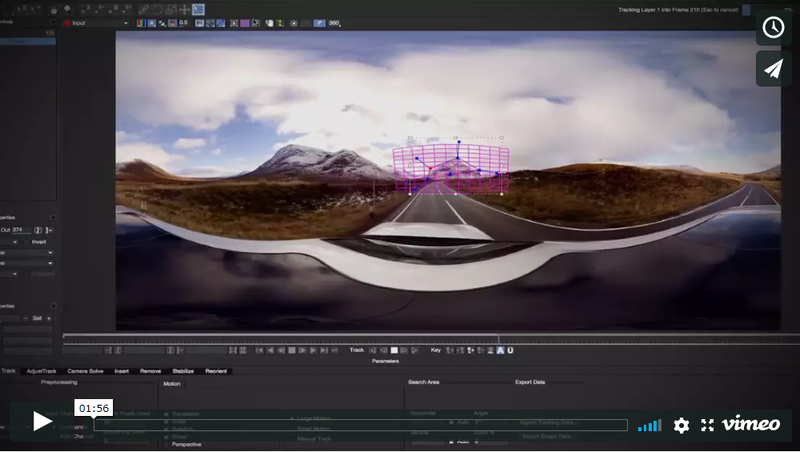 Their integrated motion graphics, VFX solutions and workflow technologies are used by broadcast media companies (BBC, CBS, ABC, Discovery, ESPN, Turner and others), filmmakers ("
Boris Continuum Complete 8 is an extremely useful plug-in suite of visual effects available for major NLE platforms offered by Adobe, Apple, Autodesk, Avid and Sony. Depending on your NLE of choice, Continuum Complete 8 provides anywhere from 145-200+ effects. But more importantly the effects are useful and inspiring if not a bit intimidating with comprehensive controls that allow truly infinite possibilities. Boris FX has been around since 1995 and this is the first time we've immersed ourselves in their plug-ins. by Bart Weiss, June 2012 I remember stopping by a booth at NAB in 2010 and seeing this great software called by AV3 called Get . I remarked that this would be wonderful if it were ½ the price -- and now it is! Get, which won a Black Diamond Award at the 2010 NAB, is an application that works with Final Cut Pro to search for words using a text box in a given folder of your FCP files. by Marc Franklin, May 17, 2012 Latest Upgrade Includes Eight Brand-New Filters, Hundreds of Newly Optimized Ones I have been a fan of Boris Continuum Complete (BCC) since I first looked at version 5. I’ve been using it with Adobe Premiere Pro and After Effects ever since. BCC is made up of a huge family of plug-in filters that work with the Adobe Creative Suite, including CS6, Avid editing and finishing systems, Sony Vegas Pro, and Apple Final Cut Pro. by Tom Daigon, February 2012 Over the last 30 years of editing, I have worked on a wide range of projects. Some were cuts only, other were wacky music videos. Over time, I developed an instinct for what kind of pacing and transitions suited the nature of the project. I learned that options were something I wanted in the tools I used to tell the various stories. by Jeremiah Hall, January 23, 2012 I switched from Final Cut Pro to Adobe Premiere Pro CS5.5 last summer, and three projects later, I'm still happy. But when I wrote my original article, there was one thing I never considered - losing my existing plug-ins I used in FCP. Every editor has plug-ins, some we use daily, others we only need to pull out once in a great while. 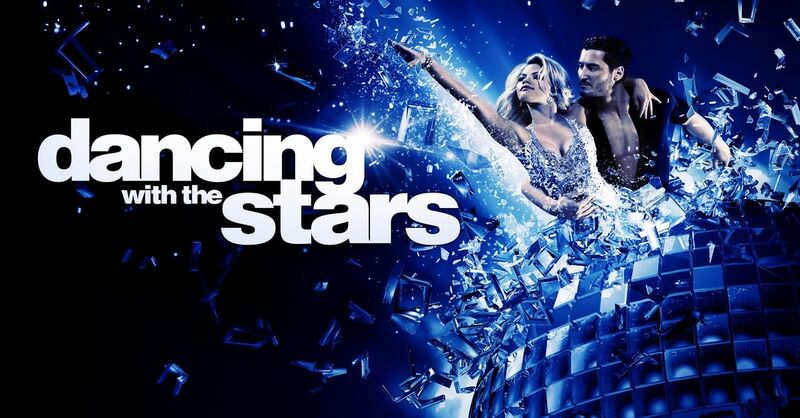 by Heath McKnight, January 20, 2012 Producers, writers, one-man bands and interns can rejoice! Soundbite from Boris FX is an excellent dialogue search tool developed in conjunction with Nexidia, a company focused on speech analytics. You can search for specific words and phrases easily with Soundbite, then import into Final Cut Pro or Premiere Pro, making it easy and quick to edit hours of interviews for a project. by David McKnight, October 5, 2011 When most of us started as editors, we likely substituted cheesy video effects for content and creativity. Some of us may have even chosen our NLE based on the number of included video effects. As we mature as editors (and shooters), we come to realize that effects need to be used ever so sparingly-such as when adding salt to any dish. by David Hague, August 10, 2011 For users of standalone editing packages, the concept of plug-ins may be a bit of an alien subject. You’ve never had to use them – and in fact your package may not even accept them – and you reckon that everything you need is already a part of your base package be it Premiere Elements, Sony Movie Studio, Pinnacle Studio, Corel Studio, Magix – whatever. by Bryce Randle, August 3, 2011 With all the craziness of the Final Cut X going on, people threatening to switch NLE’s, wondering where to go and every blogger writing 10 articles about why FCPX is great or why it isn’t, I decided to take action. I didn’t want to write about it right away though. Cammon and I made our video about why you can’t use FCPX on a feature and that’s that. by Michael Burns, January 26, 2011 Boris Continuum Complete 7 AVX brings over 200 filters to Avid Media Composer on the Mac. 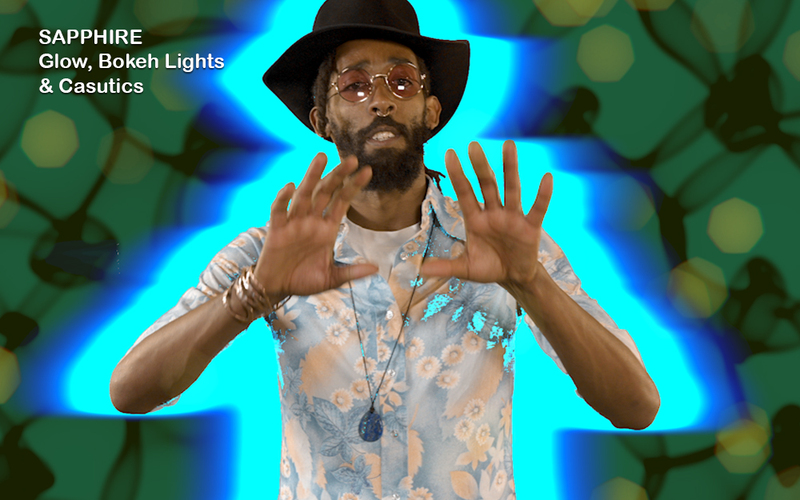 Like its sibling versions for Final Cut Pro (BCC 7 FxPlug) and After Effects (BCC 7 AE), the AVX release features several new enhancements, such as an excellent Lens Blur filter that brings a pleasing Bokeh effect to a clip and a video noise-reduction tool that smooths out noise using spatial and temporal information derived from the video clip. by Rod Harlan, January 18, 2011 MORE THAN 200 FILTERS FOR AFTER EFFECTS Boris Continuum Complete 7 AE (BCC) for Adobe After Effects and Premiere Pro brings more than 200 filters to Macintosh and Windows versions of Adobe’s CS5, CS4, and CS3 suites. This latest version features 11 new filters, including an audio-driven keyframe generator, a new OpenGL particle engine, a 3-way color grade filter (with built-in keying and masking tools), a new video noise reduction tool, a spline-based warp filter, and still and video morph technology. by Peter Bohush, November 2010 Boris Continuum Complete 7, FxFactory & dvMatte Pro Studio 3 can take your editing to a pro level. The advancement of computing power over the past decade has brought pro-level editing power to the masses with programs such as Adobe Premiere, Avid Media Composer, Sony Vegas and Final Cut Pro. In that time an entire industry has risen to provide add-on features for editing apps, giving even low-budget filmmakers awesome capabilities that were unthinkable just a few years ago. by Mark Colegrove, November 1, 2010 Boris Continuum Complete 7 AE is the latest update of over 200 plug-in effects for Adobe Premiere and After Effects, and features some great new effects that previous Boris users will appreciate, and a treasure trove of effects for those (like me) who are new to it. It should also be noted that while this review is for Boris Continuum Complete AE, Boris has also released other upgraded versions for Final Cut/Motion, as well as Avid and Autodesk. by Oliver Peters, October 29, 2010 One way to spruce up your editing application is through various plug-ins for effects filters, transitions and generators. Your options range from single-purpose filters, like Magic Bullet Colorista II and Digital Anarchy Beauty Box, to full suites, like Boris Continuum Complete or GenArts Sapphire. Such filters enhance the power of your favorite editing or compositing tool by connecting through an API (application programming interface), like Avid AVX or Apple FxPlug. by Heath McKnight, June 2010 Boris FX is considered a leader in effects plug-ins for major Video Production Software apps from companies like Apple, Adobe, Sony Creative Software, Avid and others. 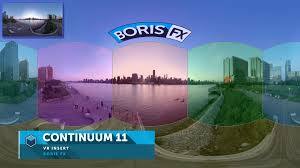 One of their popular effects set is the Boris Continuum Complete (BCC), which is up to version 6 for Apple apps, and version 7 for Adobe After Effects. It contains over 200 creative filters plus transitions, an excellent set of chroma key tools and more. by Nick Griffin, May 2010 As one who frequents several of the Creative Cow's forums, I'm always struck by the questions from people using fairly old and out-dated versions of popular software programs. And while it may be understandable with people who can get by without always having the latest and greatest, nowhere does this stand out for me as much as it does within the Media 100 Cow community. by Richard Harrington, January 28, 2010 BORIS FX BREAKS OUT THE CARTOON FILTERS Everywhere you turn, you’ll spot the “look”: video footage transformed to look like a cartoon. 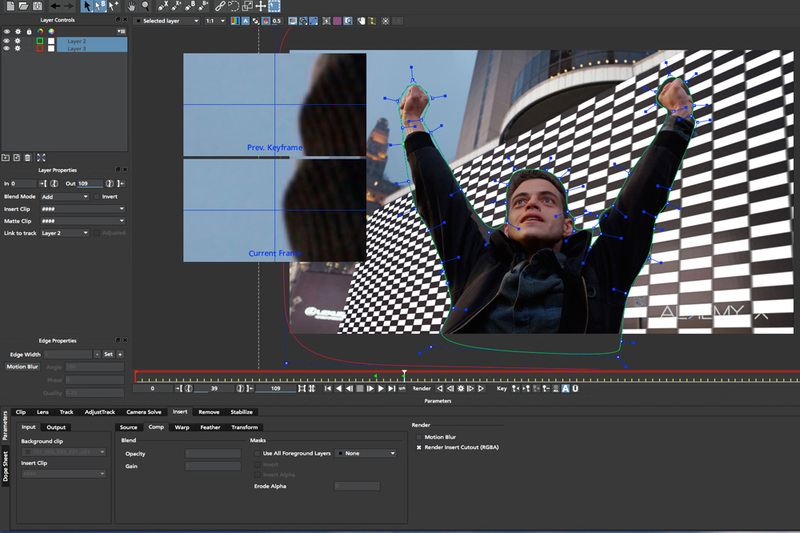 In a traditional workflow, the process involves rotoscoping. An artist literally traces animation frame by frame over the original source. The technique was invented by Max Fleischer around 1915, and has been used by animators on classic films such as Snow White and the Seven Dwarves and Cinderella, as well as modern movies such as Titan A.
by Marc Franklin, January 27, 2010 The latest suite of filters for After Effects adds stabilization, cartoon effects and a handy pixel fixer to the mix. When I reviewed Boris Continuum Complete (BCC) 5 two years ago, I was impressed with its wide range of effects that could be run directly from within Adobe Premiere Pro, without having to go into After Effects. BCC 6 AE adds some significant new effects, as well as new ways to purchase the suite. by Zak Peric, September 21, 2009 I was pondering for a very long time how to start writing a review of Boris Continuum Complete 6. As someone who is very much into Motion Graphic, and as someone who uses Apple Motion 4 as a tool, I have to say that I was very much impressed with the latest incarnation of Boris Continuum 6 for Apple Motion, and Final Cut. by Nick Miller, August 1, 2009 After Effects offers a lot straight out of the box, but when getting serious with Motion Graphics you may want to migrate out of what After Effects gives you and invest in a supplementary suite of effects. One reason for doing this is that a lot of designers use the AE effects out of the box and end up coming up with similar looks. by Brendan Coots, April 2009 I'll admit it - I'm not a huge fan of plugins. I just don't have time for the learning curve of new software, and when I do make the time, I usually dedicate it to staying current with the big ticket items like Adobe CS4 and Maya. I also find it hard to justify the steep price tag of most commercial filters. by Nick Griffin, March 2009 Over the past few years it seems that just about everyone had been talking to me about HD. "When are you going High Def","Tape or Tapeless", "P2 or XDCAM?" And so on. Everyone was talking HD... except our clients... until the latter part of last year. My partner and I work almost exclusively in the technical/industrial end of B2B. Our work therefore is typically shown on computer screens, conferences room projectors and over the net.